Top American Lawyers is committed to only having the best attorneys in the United States as members. The American Institute of Criminal Law Attorneys only has one goal as an organization, recognizing excellence in the field of criminal defense. The National Trial Lawyers: Top 100 is an invitation-only organization composed of the premier trial lawyers from each state or region. Avvo.com is an online marketplace for legal services, that provides lawyer referrals and access to a database of legal information consisting primarily of previously answered questions. Columbus CEO magazine has yearly selections for the best attorneys in Columbus Ohio. Brian Joslyn has been identified as one of the most highly skilled attorneys across central Ohio. The National Academy of Jurisprudence, NAJ is an invitation-only, national organization of premier attorneys actively practicing law. Three Best Rated® was created with a simple goal to find you the top 3 local businesses, professionals, restaurants and health care providers in any city. It is the mission of America's Top 100 LLC to recognize annually and on a lifetime bases the most qualified and accomplished professionals in various fields of practice. The American Jurist Institute (AJI), is a third party consumer driven organization that identify and promote the nation’s best attorneys. The Lead Counsel Rating promotes attorneys with professional experience, peer recommendations and spotless records. Best DWI Attorneys searches for lawyers who are experienced at handling DWI and DUI cases. The objective of Super Lawyers’ patented multiphase selection process is to create a credible, comprehensive and diverse listing of outstanding attorneys. 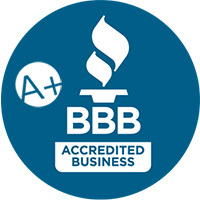 The Better Business Bureau (BBB), founded in 1912, is a private, nonprofit organization whose self-described mission is to focus on advancing marketplace trust. More than 200 trial lawyers in Central Ohio have a united voice through membership in the Central Ohio Association for Justice. Member committees include Plaintiffs’ Personal Injury Law, Claimants’ Workers’ Compensation Law, Domestic Relations Law, Criminal Law and Probate Law. The Ohio State Bar Association is a voluntary professional association open to any person who has been admitted to the practice of law. The OSBA represents more than 21,000 Ohio lawyers and judges, nearly 64 percent of Ohio law practitioners. The ABA mission is to serve equally their members, their profession and the public by defending liberty and delivering justice as the national representative of the legal profession. he mission of the American Association for Justice is to promote a fair and effective justice system—and to support the work of attorneys in their efforts to ensure that any person who is injured by the misconduct or negligence of others can obtain justice in America’s courtrooms, even when taking on the most powerful interests. 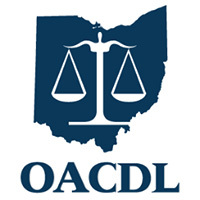 The OACDL mission is to educate and promote research in the field of criminal defense law and the related areas. The National Association of Criminal Defense Lawyers is an American criminal defense organization. The National College for DUI Defense is a professional, non-profit corporation dedicated to the improvement of the criminal defense bar. The National Police Accountability Project is a non-profit membership organization dedicated to ending law enforcement and detention officer abuse of authority. The National Lawyers Guild is a progressive public interest association of lawyers, law students, paralegals, jailhouse lawyers, law collective members, and other activist legal workers, in the United States. We are a grassroots alliance of motorists joined together to protect our rights in the courts, on the streets, and in our vehicles. National Motorists Association members number in the thousands and are active in all 50 states as well as in several provinces of Canada.